The following letter was written to my Grandmother, Ida Bailey Crow August 31, 1919 by Joseph F. Taylor who she was supposedly engaged before visiting her sister in Alabama where she met my grandfather and married him in 1909. J. F. Taylor's nickname was Boss. The name on the back of the picture on the left is Mr. Boss Taylor and the date is January 2, 1903. The mystery comes in with the picture of the young man with the exceptional mustache. It is inscribed on the back to Ida Crow TAYLOR. I do not know who this man is and the picture is not dated. As I have so much leisure time have begun to think of my old time friends, it has been so long I don’t know which of us wrote last. I am going farther away from U.S.A. every day. 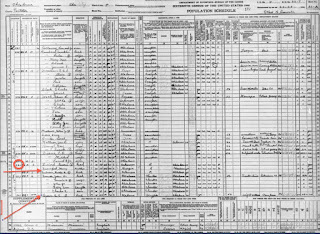 Was still stationed in Paris until 20th of Aug. Then I was one of 27 men selected for the American Military Commission to Armenia. It is to investigate the cruelties of the Turks, etc. We arrived by train in Brest, France 21st and sailed on the Martha Washington passenger ship the 23rd. Our only stop was Gibralter, the famous British Fort. I have seen Spain-Portugal-Sicily-Malta and the next will be Greece-our next stop in Constantinople, Turkey. We stay there a few days and then cross the Black Sea to Baturn, Russia, then auto to different places in Armenia, expect to get back to Paris about Nov. 1st, there 10 days and then to Washington D.C. I was rather glad to get way from Paris for awhile, but miss my French mademoiselle. We have had a lovely trip so far, nice weather and the sea is almost smooth enough for a canoe. Arrive in Constantinople about the 2nd. Don’t know what kind of reception we’ll get as the Turks are hostile against the Americans. However, we are well armed and will give them a run for their money. This is a large U.S. shop and is chartered especially for this trip. We travel first class, electric fan in room, music while you eat (ha ha) some style. I don’t know if I will ever be satisfied in America again. I am in good health now. Will try and write again on the trip and please answer soon. I love to hear from you all. As ever your best friend. The pictures and letter were in a suitcase in my aunt's attic that I drove to Oklahoma City and rescued over 20 years ago. 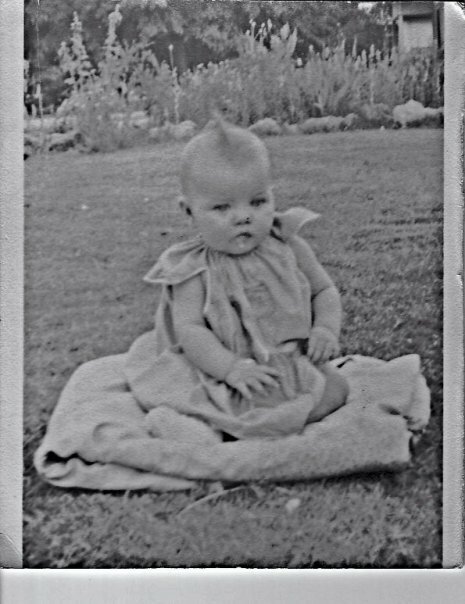 I think my little grandmother had some secrets. It has been way too long since I have posted on this blog, but thought this would be a good time to get started again. 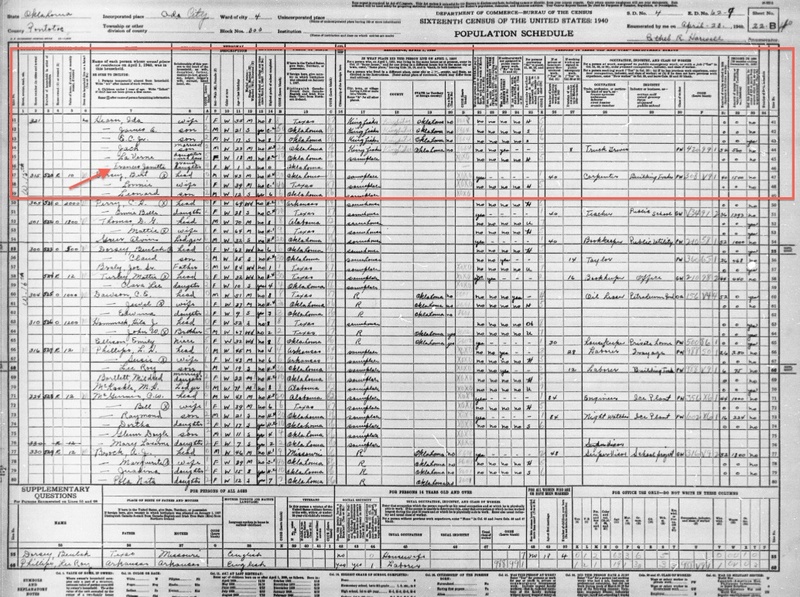 What better way than to post family members as I find them on the 1940 census, starting with myself. Yes, my first name is Frances although I have never used it, always have been Jan or Janet to family and friends. I was named after two great grandmothers, Mary Janett Barwis Carroll and Sarah Frances Chiles Crow. They both died a few years before I was born. My grandfather is at the bottom of the first page. Right above him is Mary Davenport, the widow of one of my husband's ancestors living in the house where I was born in 1939! . Harold had never been to Oklahoma except to drive though until we married in 1987. I can hardly tear myself away from the computer this week, I am either indexing these wonderful records or looking for family members. 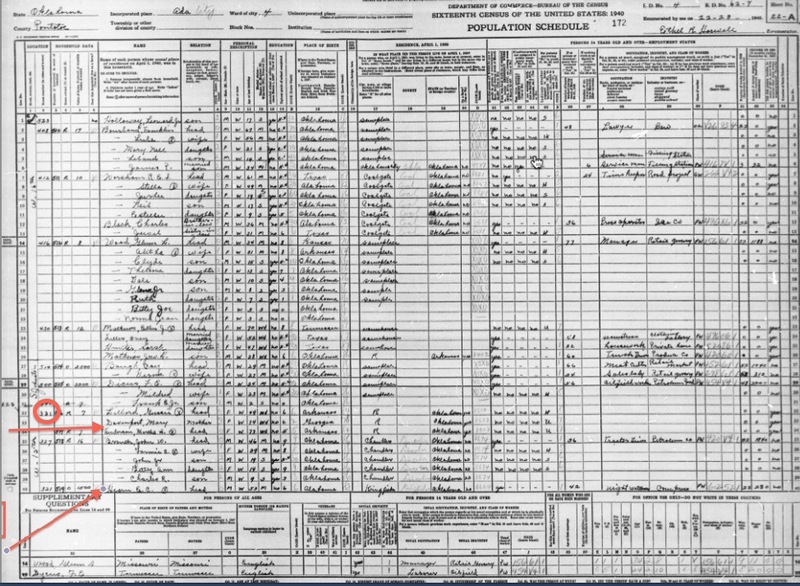 What sweet memories this census is bringing back.I remember most of the people on this page as a child growing up in Ada, Oklahoma. 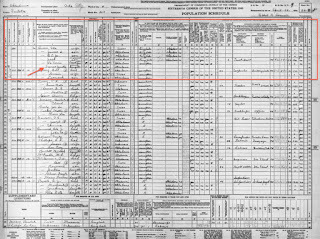 The picture of me was taken five months before the 1940 census at the 321 W. 15th, the address in the census. I got a letter from Jack Saturday and a telegram Sunday evening. Looks like he is seeing 50 times as much of the world in 1/10 of the time as I am. I'll be over there in 5 months - We aren't getting leave, so if you can I wish you all come down around the 25th. I would like Ruth to come with you. I haven't said anything to her about it. Mom, here is something I guess I had better tell you. Don't worry about me getting married. I am not going to even think about it until this is over. They say war changes a man. Well - I'd hate to get married and after all this is over discover that I had changed so much that my own wife wouldn't know me. God knows, I've changed too much as it is. When this is over I will have time to think about it. Oh yeah- I got a big box of homemade cookies Friday. Sure good too- Who from? Ruth- Good cook. Get paid today or tomorrow, will send you a little. After this month I will be able to help you more - But not much this month. It is going to take around $200 before I get through this month- All of our uniforms have to fit perfectly. The colonel is going to inspect each one individually for fit. Mine hasn't come in yet. I think I go downtown tomorrow and get measured again. The tailors say that our class has lost the most weight around the waist than any other class. We were measured for uniforms the first came here. Was told an hour ago that we were going to get leaves. Today we do, tomorrow we don't. That's just how much they know. Go ahead and plan on me not getting one. Bombardiers. As it I am now in the group known as Master Bombardiers. I hope I end up in one of the two classes- One more week (4 days) of groung school and I am through with Ground School. I wish I could tell you a little about the training I have gone through - but that will just have to wait until I am free to talk. I'm afraid that no one outside of pilots and bombardiers can appreciate the value of a good bombardier. A baseball team without a homerun slugger is just like an airplane without a good bombardier. When you read about some pilot flying one of those Flying Fortresses on a bombing raid or about a certain pilot destroying a munition plant - train etc, you can be sure that he drove the plane and the bombardier did the rest. Of course we all like to have a good pilot because it is easier for us to bomb with a good pilot. 30 seconds after we see a target - we drop a bomb. From 12,000 feet-100 seconds after sighting- we drop- Don't say anything about any of that to any one. Incidentally - I started out poor in my bombing - reason - too darn nervous- I'm not nervous now. One thing I can say - you really earn your commission as a Flying Officer. Something that can't be done in six weeks. "nuff said"
Well will quit so I can get this off. Maybe my letters will be longer from now on - now that it is almost over. PS. I am going to see George Anne & family Saturday. Keep this telegram for me. Will send more money if you need it. James America Hearn died in a plane crash September 1, 1943, one year to the day after this letter was written. Jack was my Dad, Verne was my mother and Jed was his nickname for my baby brother who was his namesake. 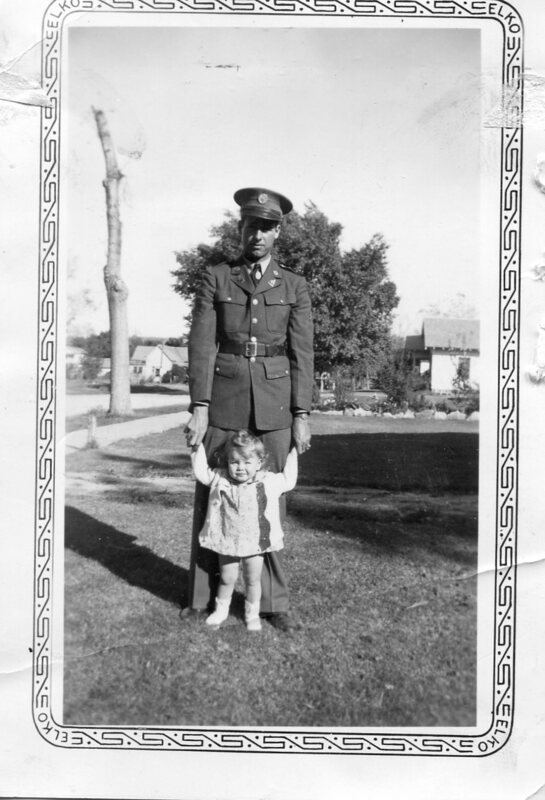 We lived with my paternal grandparents during the war, my Dad was in the South pacific. Papa Crow was their grandfather. I do not know who the George Anne he mentioned in the PS is. Although he did say in this letter that he would not get married until after the war, a telegram dated September 29 said, Got wings, got commission and new wife, Ruth. I have transcribed this letter as written. Jake loved to use dashes instead of periods. It was a surprise to me that while reading this letter to my husband today I started crying. Crying because I never got to know this sweet young man who my mother said adored me and would spend hours rocking me when I was a baby. Dad was a plank owner on the USS Greenwood DE679, serving in the South Pacific during World War II. I can remember my Mom and Grandmother sitting by the radio night after night listening to the war news and playing dominoes. For some reason this year the memories are clearer than ever before. I think because I have been going through letters and pictures taking during those years. Thank you Dad, Uncle Jake, Uncle E.C., cousins Glen Witcher, C. Russell, J.C Hearn, Alfred Crow, and Wilburn Crow for your service and sacrifice. Especially Jake and Alfred who gave the ultimate sacrifice. A previous post" Eight Small Boys" has a picture of the cousins taken in 1925. I have vague memories of when my Uncle Jake was killed, but remember well all the wonderful stories about him that my family shared with me. He was a beautiful young man, that is reflected in the letters I have that he wrote home during the war. They told me how much he loved me and I miss not having him in my life growing up. The picture was taken April 5, 1943 and he died September 1, 1943, he was 24 years old. Bud Hearn, 68, died June 9, 2010 at the home of his son in Phoenix, AZ. Bud was born February 14, 1942 in Ada, Oklahoma to Jack and Wanda Thornton Hearn. He graduated from Eureka Springs High School in 1960. 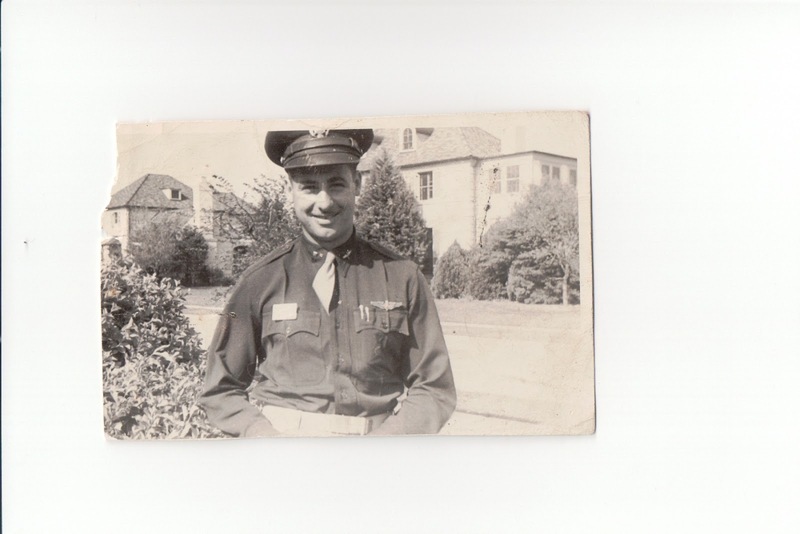 After serving in the U. S. Navy he attended UCA and UALR. Bud worked for many years in the hospitality industry in Arkansas, Oklahoma and Florida, but had resided in Fayetteville for several years before moving to Phoenix last year. His parents, sister Lynda Sue Lindstrom, brother Jerry Bob Hearn and nephew Steven Jay Bowen preceded him in death. Bud is survived by a daughter Michelle Hearn Brasel (Russell) of Fayetteville, son Chris Hearn (Jennifer), Grandchildren David, Dylan, and Calista Hearn, all of Phoenix, AZ, sister Jan Hearn Davenport (Harold) of North Little Rock, a half brother Jack Hearn of Oklahoma City, OK, nephews, Todd Garrett of Jacksonville, Florida, Sean Hearn of Minnesota and niece, Kelley Land of Columbia, MO.